By now, most China watchers have probably seen this piece by David Shambaugh cogently arguing that “the endgame of communist rule in China has begun.” If you want to see an equally cogent argument lead to a very different conclusion, you can see Arthur Kroeber’s piece from December about how Xi Jinping and his governing style are here to stay. In November 2011, The Telegraph ran an exclusive report on a self-immolation that had happened in Tiananmen Square three weeks earlier. The paper only learned of it when they received a photo from a British tourist who’d been there and was surprised he hadn’t yet seen anything about it in the news. Despite the hundreds of people who’d been present snapping their own photos, no record of the incident could be found anywhere in Chinese media, Weibo, or anywhere else. 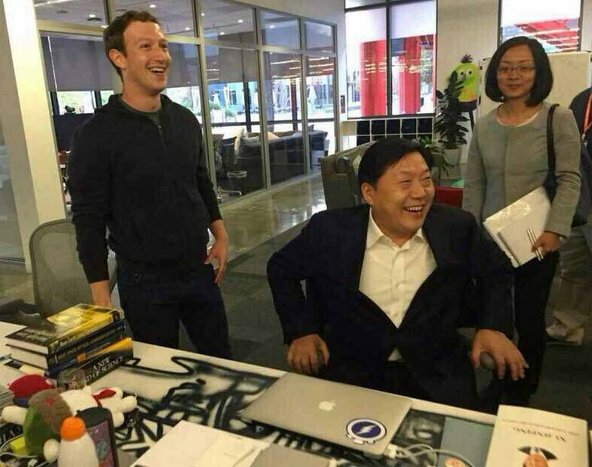 It happened in perhaps the most trafficked and photographed place in China, it was during the heyday of Weibo, and it was walking distance from where hundreds of foreign correspondents were stationed. And yet, we just narrowly missed never hearing about it at all. It makes you wonder how many important things we are missing completely in China. Hundreds of the best foreign correspondents in the world are stationed in China (the lion’s share based in Beijing, with most of the rest in Shanghai), but unfortunately they have no hope of collectively reporting more than a very small fraction of the important things happening in the country every day. They’re a few hundred covering 1.35 billion people living across 3.7 million square miles. There are of course Chinese journalists and netizens finding things out, but self-censorship and multiple levels of government censorship stop a lot of that from ever reaching the outside world’s comprehension. And a lot of the trends that could influence the CCP’s survival are simply unknowable. After Bo Xilai’s sensational purge in 2012, many China-watchers (myself included) presumed that the incoming Politburo Standing Committee would take a turn toward the more liberal wing of the CCP. Then Ling Jihua’s son got in a Ferrari accident and New York Times exposed Wen Jiabao’s family wealth, making a mockery of any predictions on the PBSC’s composition. Totally unforeseen events (that we still don’t fully understand) changed everything, which should itself have been foreseeable. That was just one small arena of Chinese politics. Imagine the present day stable of China pundits being transported back to 1986 and trying to predict what would happen over the next five years (then repeat that exercise with 1976, 1966, 1956 and 1946). Let’s even help them out a bit and presume they have access to all the information the CCP did. Does anyone honestly believe any of them could have predicted anything resembling what actually unfolded? If not, why should we think they’re any more capable today? Political winds can shift on a dime in China, influenced by completely unforeseeable variables. The Tiananmen movement, for instance, was the result of dozens of different incidents and trends that came together in a perfect storm. Alter any one of those variables slightly, and things could have turned out very differently. You can conscientiously gather every bit of information available, every apparent trend and make a conclusion about where China is headed. Then something will almost certainly happen tomorrow that rips your thesis to shreds. But prediction sells. It’s harder to get media outlets to give you op-ed space or air time if you just say “things are complicated and we don’t really know what’s going to happen.” Making a bold prediction gets noticed and it has little downside (especially if you hedge, as Shambaugh did, without giving a deadline on it). Gordon Chang, perhaps the most extreme example, has set several firm deadlines on his CCP collapse theory that have turned out utterly wrong. And yet, he still enjoys “China expert” status along with regular columns and TV appearances. Whether the Communist Party will survive or collapse in the short-term is THE question in China, so it’s not surprising that we see pieces arguing both sides. There’s nothing wrong with exploring the possibilities, and it’s certainly worth tracking events and trends that could influence this question. But when I see someone pulling an arbitrary set of indicators together to make a grand conclusion, I take it with an enormous grain of salt. You should too. Over the past two years on this blog, I’ve occasionally alluded to a big project that’s perpetually been “a few months” from completion. Well today I’m happy to announce that the project is finally finished! As a few discerning readers have already guessed, it’s a book. 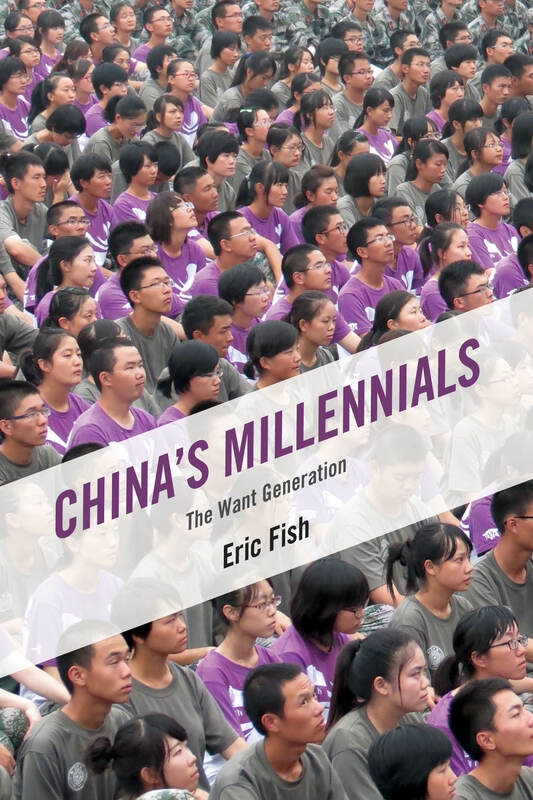 It’s called China’s Millennials: The Want Generation and it’s set to be published by Rowman & Littlefield on June 1st. The book has roots back in 2007 when I began three years of working with college students in Nanjing. That was an exciting period for China, especially for its youth. The economy was still growing by double-digits each year and the upcoming Beijing Olympics signified to many Chinese that their country had reclaimed its place as a world power. Then immediately after the Olympics finished, the global financial crisis hit, sucker-punching “the West” and its supposedly superior political system. China, on the other hand, appeared to steam ahead unscathed. In 2009 leading up to the 20th anniversary of the 1989 Tiananmen Square suppression, a common refrain appeared in foreign media about Chinese youth of today. Unlike their idealistic predecessors, who were willing to lay down their lives for democracy, this generation was largely content with authoritarian capitalism. They’d been subdued by a combination of torrid economic growth, materialism and the government’s reemphasis on Chinese nationalism. There was certainly a lot of truth to this narrative. As the West was struggling, there seemed a sense of inevitability that China’s return to the world’s power center was just around the corner. People were living better and better lives and the country’s rulers were triumphantly leading the nation through rough waters. The confidence young Chinese had in their country had probably never been higher. But then cracks started surfacing. In 2010, Weibo took off and began shining light on many of China’s deeply serious problems. Meanwhile, demographics and the economy were taking a turn for the worse. There was (and remains) a growing gender imbalance, an aging population, increasingly visible environmental degradation, a slowing economy and a shrinking job market for college graduates. The gravity of these and many other problems in the eyes of China’s leadership has perhaps best been illustrated by the severe (and worsening) crackdown on dissent that Xi Jinping launched after coming to power. Still, when the 25th anniversary of the Tiananmen movement rolled around in 2014, the narrative about the politically content, materialistic and nationalistic youth was dusted off once again. But this time I wasn’t so sure. Like most things in China, there is indeed truth to that simple storyline, but the full picture is infinitely more complex. What I’ve tried to do with this book is explore some of that complexity. Over the span of three years I traveled around China talking to a diverse set of Chinese youth born in the late 1980s and early 1990s (aka millennials) trying to understand where they’re coming from and what they’re worried about. In the book I profile youth navigating China’s education system, the workforce, contentious social issues and those who are pushing back against the status quo in various ways. In Shenzhen I spent time speaking with factory workers and a young reporter who went undercover in Foxconn during the height of the 2010 suicide controversy. In Shandong I met a group of rural Henan youth who fell prey to an education scam that upended their already difficult lives. In Nanjing I spoke with young Christian converts about why they felt compelled to turn to religion. In Beijing, I interviewed the founder of a popular nationalistic website about his role in a nationwide uproar. In Guangzhou I spoke with environmentalists trying to contend with heavy-handed authorities. I tell the stories of young social activists, journalists, civil servants, migrant workers, jobless graduates, frustrated farmers and tech entrepreneurs (to name a few). I tried to give voice to a wide range of subjects including both urban and rural youth (the latter tend to get far less coverage than their urban counterparts). In talking with all these young Chinese and a raft of scholars and other experts for this book, a picture started to emerge that wasn’t nearly as simple as youth being bought off by materialism and distracted by nationalism. While there were indeed many signals of contentment, political apathy and material pragmatism, there were as many stories of struggle, disillusionment, insecurity, political doubt and dissatisfaction with the way things are. Many youth appear to be pushing back—whether consciously or subconsciously—against the status quo while China’s leaders scramble to keep them in line, and increasingly, scramble to adapt when youth refuse to conform. Pontificating about millennials has become a cottage industry in the US, with a cascade of books and columns dissecting and predicting this group’s supposed habits. I consciously tried to avoid writing a book like that. I keep the pontificating holstered and make no predictions. I just wanted to capture this moment in time and try to paint an (admittedly partial) picture of what Chinese youth are up against, and do so though their own stories. I weave these stories in with data, academic studies and commentary from sociologists, political scientists, journalists and other experts. The idea was to present compelling personal stories of young Chinese alongside their greater context at this point in history. Anyways, I hope you’ll understand why this blog has been on life support for the better part of two years now. But hopefully it will be worth the wait. I also want to take this opportunity to thank all of you long time followers for reading and sharing this blog since I started it in 2010. The interest and feedback I’ve gotten here was a major driving force in convincing me that this book was worth writing. So thank you! I hope if you’ve enjoyed what you’ve seen here, you’ll check out the book. A few weeks ago on Twitter, a Global Times employee revealed that the company gives traffic-based bonuses and also “bonuses for mentions in foreign media, good or bad, and for comment volume, positive or negative.” This was later confirmed to me by other GT employees (Global Times itself responded to my email for comment, but never replied after I asked about its incentive schemes). By a long shot, the articles in Global Times that get re-shared and covered most frequently by foreign media are the ones that say the most absurd things. It would appear this is something the paper has taken note of, as we seem to be seeing these editorials becoming crazier and more frequent. So in effect, whenever we share or write an article about one of these pieces, we’re playing right into Global Times’ hands. We’re encouraging trolls and taking opinions at face value that likely have financial incentives driving them. These editorials routinely defame dissidents, report outright false information and rile up nationalism and racism. In most situations, it’s just not worth putting a megaphone in front of these messages. Sometimes it’s inescapable, like when these editorials have real world effects. One particularly vitriolic editorial against Japan in September 2012 may have helped incite actual violence. In cases like that, media can’t help but quote GT. However, most of these editorials are quoted or re-shared simply for their insanity. Global Times does NOT represent the official Communist Party line. Whenever the Communist Party is mum on an issue and journalists are scrambling to interpret Chinese leaders’ views on it, you’ll inevitably see “the state-owned newspaper Global Times” quoted…often from the English edition (which is pretty different from the Chinese). The implication is that it’s some sort of proxy for the official party line. But this isn’t really the case. In some situations it is. When Global Times ran an editorial in January 2013 condemning the Southern Weekend stand and defending the government’s media censorship, newspapers across the country were ordered by propaganda authorities to reprint it. But this was a very rare event. A Chinese media outlet being state-owned doesn’t mean every word it prints represents the party line. Global Times is owned by the Communist Party flagship People’s Daily, but that doesn’t mean they share the same editorial principles. One Tsinghua media professor I spoke with likened People’s Daily to a highly disciplined, but poor father and Global Times to his belligerent wealthy son. GT’s populist nationalism makes it one of the better selling newspapers in China, and thus, makes People’s Daily money. I believe Global Times English does some good reporting in other sections (again, GT English is largely separate from GT Chinese). I have no qualms about linking to those stories (here, here, here, here, here, here and here for instance). But the editorials have rarely contributed any meaningful information or well-reasoned standpoints. On the contrary, they’ve routinely proven false and insidious. Unless these editorials have some influence on actual events, I see no reason to continue gifting them any extra attention. In the lead up to the Tiananmen crackdown’s anniversary, there have been a lot of articles looking back on the event – some with new interesting angles, some just dusting off stories from five years ago. But in reading this stuff, I’ve noticed that some things tend to get overlooked or remembered in a skewed way. I think oversimplified media coverage of the protests at the beginning plays a major role. Images of Tank Man and Democracy banners in the heart of Red China offered a narrative too appealing to complicate with the finer details. This list (which is admittedly also pretty simplified) is a reminder of some of those details that we tend to neglect about Tiananmen and its legacy. In popular memory, the Tiananmen movement was a brave stand by Democracy-hungry youth against the tyrannical Communist Party; but the reality was a bit more complex. Since the late-70s, the Party had been touting Reform and Opening up, so as the 80s progressed, political discourse became more open and “safe.” But the “reform” being touted was vague. It was akin to an American politician running on a platform of “change.” “Yeah, great,” most people thought. Just about everyone can agree to that. But once you start dissecting exactly what “change” or “reform” means and how far it should go, opinions start to diverge pretty radically. By the time 1989 rolled around, just about every social group in China wanted some sort of “change.” Some thought the reforms had gone too fast, others not fast enough. There was a widespread feeling that, in one way or another, many government leaders had dropped the ball and were corrupt to the point that they were holding China back. But there was really no coherent set of demands among protestors about how to address this; in fact many of their demands were contradictory. Names now synonymous with the movement like Chai Ling and Wu’er Kaixi probably didn’t mean much to the average protestor. In a sea of people, their influence stretched about as far as the sounds from their bullhorns could reach. These “student leaders” went through their own power struggles and quickly factionalized. Whatever control they had over the movement was confined to very small pockets. There were too many divergent demands for anyone to exert any meaningful leadership. As the Beijing spring went on, the Tiananmen protests became a major social event that was seen by the public as a patriotic continuation of the May 4th Movement. People from every point on the social ladder and political spectrum – most of whom weren’t otherwise politically active – joined in with the herd. Even uber-nationalist and Confucius Peace Prize founder Kong Qingdong jumped in on the festivities, if that tells you anything. People tend to think the movement was for “Democracy,” but that’s a gross oversimplification. There wasn’t even a clear definition of what “Democracy” meant. Is it direct national elections, or is it just greater transparency within the CCP? Few actually wanted to overthrow the CCP and replace it completely. After all, the protests started with an outpouring of support for a fallen Communist leader, and many of the protestors were Communist Party members themselves. But ultimately, there wasn’t really any agreed upon message or motive for the movement – just that it was patriotic. With everything the Communist Party does to erase Tiananmen from history, it seems odd to think that it was actually the movement’s greatest beneficiary. The divergent demands emerging in the late 80s left the Party increasingly challenged by the public with shrinking room to operate. When hundreds of thousands of protestors took to the streets for seven weeks without any coherent set of demands, it was the perfect excuse to clamp down and re-assert absolute control. It was especially convenient for the hardliner faction of the CCP and the likes of Li Peng. They were able to pin blame for the “chaos” on liberal opponents who’d taken a soft-line on student demonstrations. Extreme measures – like purging the very highest ranked Party official, Zhao Ziyang – can only be taken in extreme circumstances. Tiananmen provided exactly this. The Politburo was cleared of those pushing for aggressive political reform, and agitators among the public were silenced. The now conservative-controlled CCP enjoyed two decades of the greatest prosperity it had ever experienced. It’s become popular to compare young Chinese of today unfavorably to the Tiananmen youth. The latter erected the Goddess of Democracy to stare down Mao, while the former throws eggs at the Japanese Embassy. But blind xenophobia/nationalism and fierce criticism of the government aren’t at all mutually exclusive, and in fact, can be directly related. This has been the case in political uprisings from the Boxer Rebellion to the May 4th movement. In fact, xenophobic protests were one of the undercurrents that led straight to Tiananmen Square. In December of 1988, two African students at Nanjing’s Hehai University wanted to bring Chinese girls into a school dance, but were rebuked by campus security. The exact facts are disputed, but some sort of large brawl between groups of Africans and Chinese broke out. False rumors spread that Chinese women had been raped or kidnapped and a Chinese man killed. In response, hundreds gathered outside the foreign student dorm clamoring for blood, but they were dispersed by police. This was just the latest in a series of race-fueled conflicts at universities over the preceding decade, and it incensed Chinese students. They were kept under strict control, while foreign classmates had all sorts of special privileges. Now, these Africans were apparently getting away with murder and being protected by traitorous officials. It was an infuriating highlight of China’s weakness. The story wasn’t true, but the issues it represented struck a nerve for the students who felt corruption and disrespect all around them. They wanted to stand up and defend their country’s dignity, but once again they were thwarted by bought-off officials and an unjust legal system. It was just as their ancestors had felt before May 4th, 1919. So when you see Chinese youth of today written off politically because of their “nationalist” tendencies, it’s worth asking how much nationalism really hedges against challenges to the CCP. When the CCP decided to put down the protests, it could have done so with riot gear or rubber bullets. It instead opted for machine guns with live ammunition. The bloodbath that ensued was a message that this sort of dissent wouldn’t be tolerated again. For the following two decades, that message was received loud and clear. But what happens when the next generation is shielded from it? It’s an exaggeration to say that young people today don’t know anything about 1989, but most are indeed pretty sketchy on the details. I’ve even talked to a few students who didn’t know why it happened, but assumed the protestors must have had it coming if the government saw fit to kill them. They don’t fully grasp how the CCP was willing to send in soldiers to indiscriminately massacre hundreds, perhaps thousands, when it felt its legitimacy was threatened. And most of those protestors didn’t even oppose the CCP; they simply challenged it to reform. These days, it’s becoming apparent that the next generation of youth isn’t as scared of speaking out (so long as they avoid directly attacking the CCP’s legitimacy). We’ve seen a steady stream of environmental street protests, a large demonstration against censorship, and recently, a dozen college students uploaded pictures of themselves supporting jailed civil rights attorney Pu Zhiqiang. In all these cases, teenagers and 20-somethings have been front and center. This is still a relatively small segment of Chinese youth, but it’s one that’s obviously growing. None of these things were happening a decade ago. There are of course more social factors in play here than 6/4 amnesia, but as the memory of Tiananmen drifts further away, so does the instinctive fear it was meant to instill.